Heavy fog was impeding visibility on the I-95 corridor early on Tuesday, February 5, when a tractor-trailer and another vehicle crashed. One person was killed and others were injured in the Melbourne, Florida area. Leave plenty of distance between your car and the one in front of you. Decreased visibility means longer braking times, so that added space is your friend. In other words, slow down. It may take you longer to get to your destination, but your safety is worth it. Take advantage of your windshield wipers and defrosters. Moisture and ice on your windshield can create glare, which can make it even more difficult to see. Give yourself the best view possible by clearing off your windshield completely. Speaking of visibility, ditch your car’s high beams. Low beams are actually better for driving in fog. If you do not think your current headlights are powerful enough in low beam mode, consider a headlight replacement. Resist the common urge to use the lights of any vehicles in front of you as a guide. This can actually cause you to focus too much on the narrow patch of landscape in front of you, causing you to miss other things. Skip cruise control. Foggy roads can have surprises waiting, and it is best to maintain complete control of your car. “Follow the right-side line of the road to guide you,” suggests AccuWeather. That is easy enough to remember. Do not be afraid to slow down and drive cautiously along the right side of the roadway. Roadside reflectors can help guide you, as well. Do not accelerate if a car behind you is too close. It can be tempting to try and “lose” the guy who is right on your tail, but that can actually make your situation more dangerous. Stick to a safe, reasonable speed limit in the fog, even if other drivers do not. Check your mirrors before slowing down, and gently apply your brakes. The earlier you can start to tap the brakes, the better. Your brake lights will alert drivers behind you that you are slowing down, and you won’t catch them by surprise with a sudden stop. If you choose to pull over and wait out the fog, pull as far to the side of the road as possible. Once you are stopped, turn on your hazard lights. 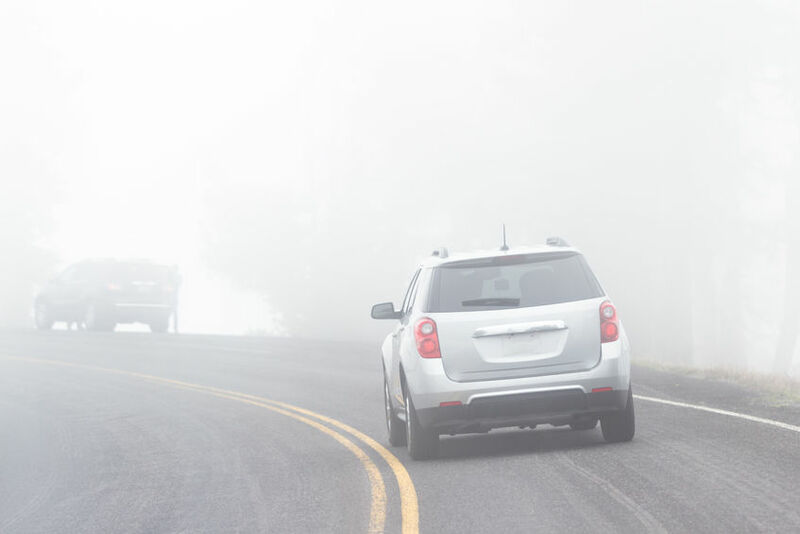 The key to driving in the fog is to remember that everyone is having trouble seeing, so play it extra safe by getting well out of the way and using your lights to let other drivers know where you are. Pulling into a gas station or other roadside venue is a great idea. “Should you or a loved one be injured in an accident because of the negligence of another driver, please contact our experienced legal team. We are available 24/7, and there are no costs or attorney fees unless we make a monetary recovery for you,” said Fort Myers Car Accident Attorney Randall Spivey of Spivey Law Firm, Personal Injury Attorneys, P.A.